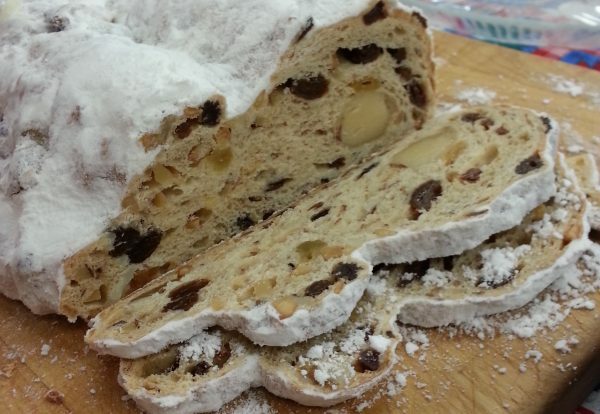 For over 40 years, our talented baking staff have been creating stollen in small batches. 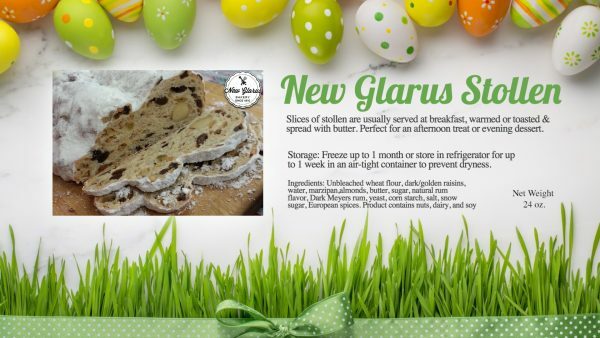 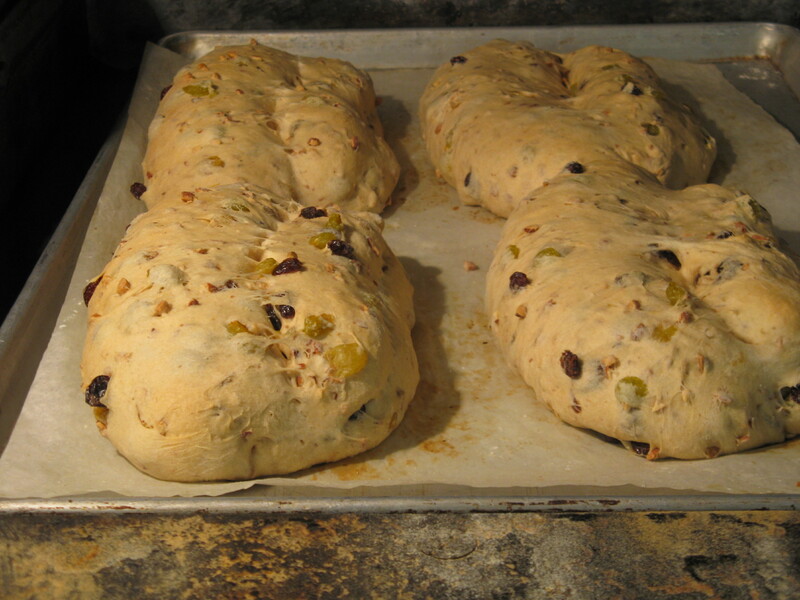 Our unique recipe uses European spices, rum-soaked raisins, almond paste, freshly roasted almonds and REAL butter from Midwest farmers. 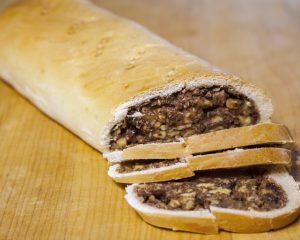 Each batch is hand-shaped, with a log of marzipan folded into the dough, raised under steam, and then baked to a golden brown. 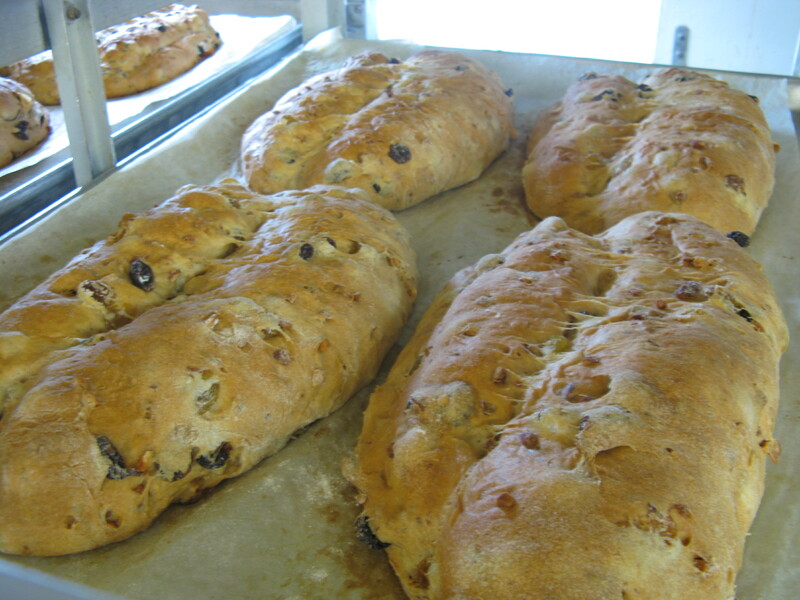 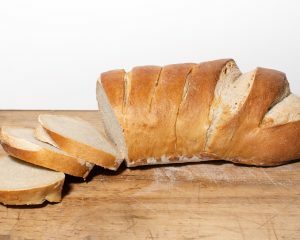 When cooled, each loaf is dipped in melted butter and rolled in special confectioners sugar called snow sugar. 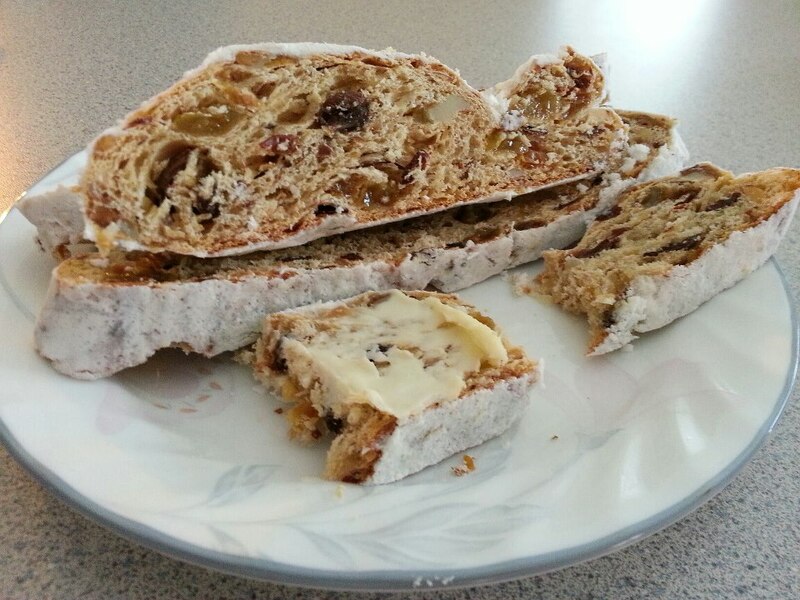 Slices of stollen are usually served at breakfast, warmed or toasted and spread with butter. 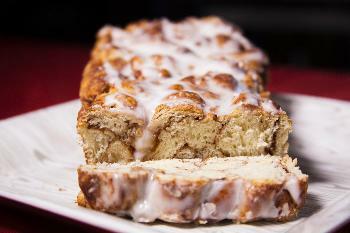 Perfect for an afternoon treat or evening dessert. 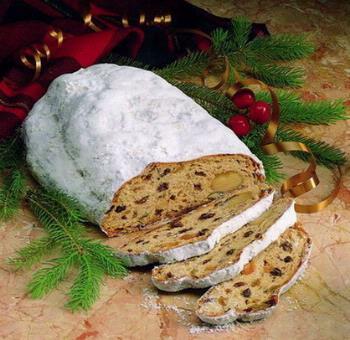 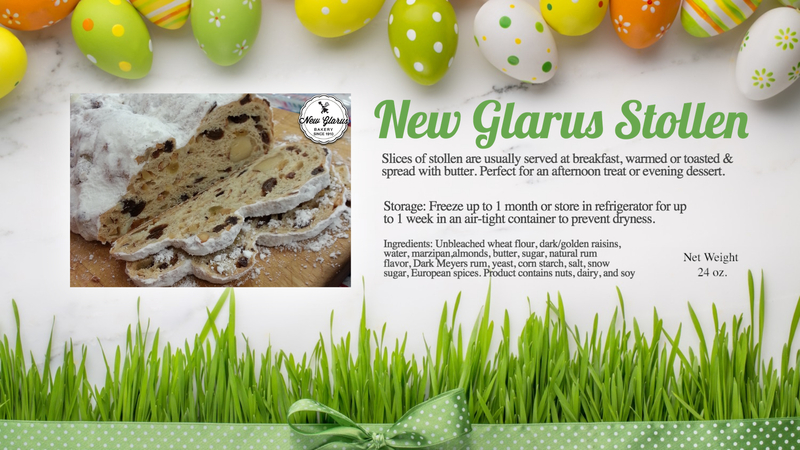 Stollen is best kept in an airtight container, frozen up to 1 month or refrigerated for 1 week. 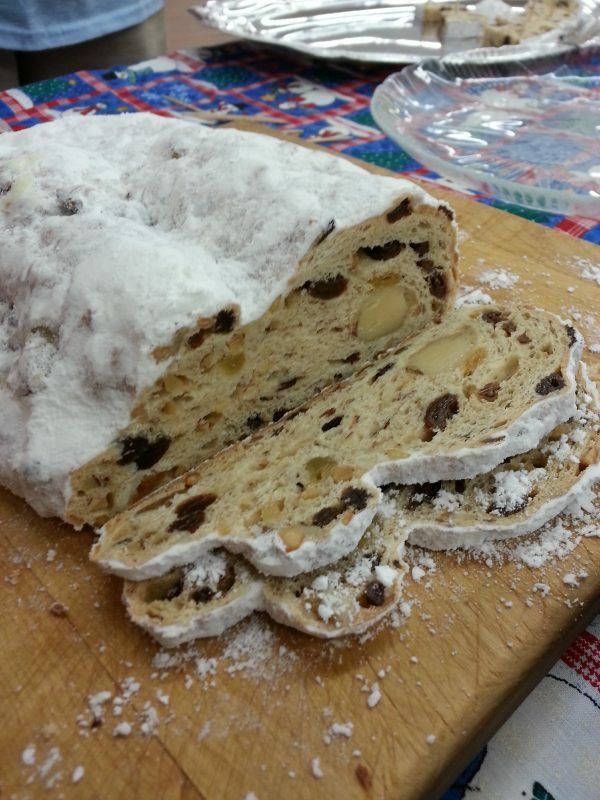 Flour, dark and golden raisins, water, almonds, butter, sugar, rum, simple sugar syrup, raw natural sugar, yeast, corn starch, salt, powdered sugar, secret European spice.